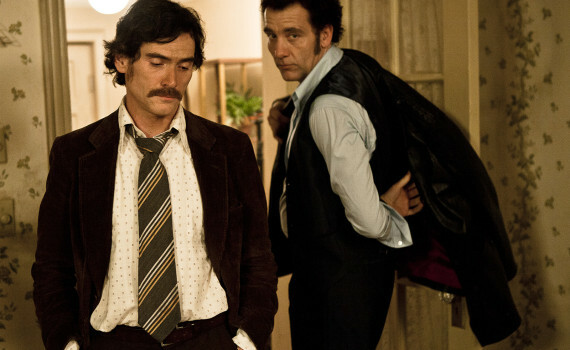 The great thing about Blood Ties is the perfectly-picked ensemble. And it’s not like these are the biggest Hollywood names, but they work in connection with one another in a way that’s rarely seen, in a way that brings out career performances from each other, combining to create a great film built on the most effort these actors have perhaps ever poured out. Billy Crudup will always be a film hero to anyone who loved Almost Famous, but his talent goes beyond that movie, and is showcased here as something special. Clive Owen, the big Brit, has been a thriller mainstay for years, but saved his best for what may have been his most difficult. And even Zoe Saldana, a sci-fi seductress (Avatar, Star Trek, Guardians of the Galaxy), kicks it up a notch here. Sometimes a group of B-list actors bring out the best in each other, putting egos aside to produce something special, some thing that no one really saw coming. This is a story of family and how blood binds beyond all else. In New York in 1974, one family will test the strength of relation, pushing the bond to see just how far it will stretch. Frank is a cop, a good but lonely man, in love with Vanessa, the girl he pushed away. Chris is Frank’s brother, a convicted murderer out on furlough and looking for a job. The crime world awaits him, as do the children he’s never seen, living with their mother Monica. Leon, Frank & Chris’ father, is in poor health, barely managing to hold the family together. And when Chris becomes involved in cases that Frank needs to solve, perhaps the strength of blood will prove too weak when pitted against years of separation, a history of pain, and the lures of the quick-and-easy underworld life. The movie begins with a bust, a case, and a cop, but that storyline quickly gets put behind us as audiences begin to understand that this film is about family. Not in a mobster way, but in an intertwined beyond escape kind of way. There are classic elements here that stand the test of time; brother vs brother, choosing the lesser of two evils, protecting your family at all costs. But the plot never seems dated, despite the ancient themes and the vintage clothes. Instead, it feels like a 70s movie remade, with a refurbished French Connection feel. The film is based on a novel and a 2008 movie, so perhaps having a solid background helped director Guillaume Canet to develop a strong film, but his actors deserve a lot of that credit. Not only did Crudup, Owen, and Saldana portray their characters to perfection, but the side characters fit perfectly into their roles as well. Marion Cotillard, Mila Kunis, Matthais Schoenaerts, James Caan, Lili Taylor; every actor brought their A-game, all except Kunis perhaps, who I’ve never really liked in anything except Black Swan. But look at those names; that’s an ensemble to be proud of, a great bunch of actors who do some of the best work here. Blood Ties is a 70s crime drama; a genre that might not be to everyone’s taste and a bit of a tough pill to swallow. But if you’re a fan, this is a must see.